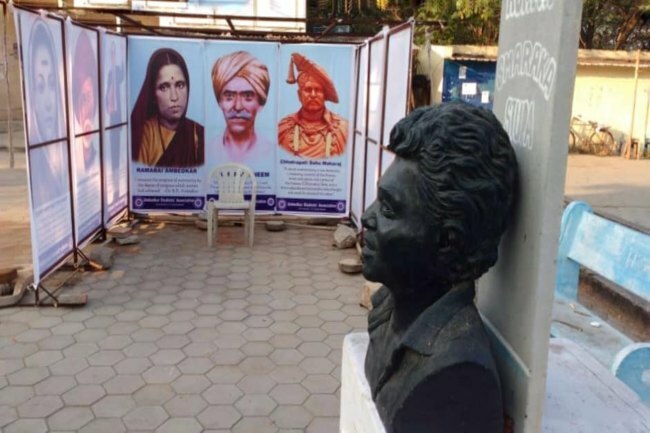 Velivada, a temporary structure with portraits of anti-caste icons, was erected when Rohith Vemula and his friends were evacuated from their hostel in 2016. Ahead of Rohith Vemula’s third Shahadath Din (death anniversary), which falls on January 17, the University of Hyderabad authorities have removed ‘Velivada’ (Dalit Ghetto), a temporary structure in the campus, inviting strong opposition from Dalit students. The Velivada was erected after Rohith was suspended along with his four friends from their hostel in December, 2015. The temporary structure had portraits of anti-caste icons like Jyotirao Phule, Savitribai, Dr BR Ambedkar, Periyar, Ayyankali and others. 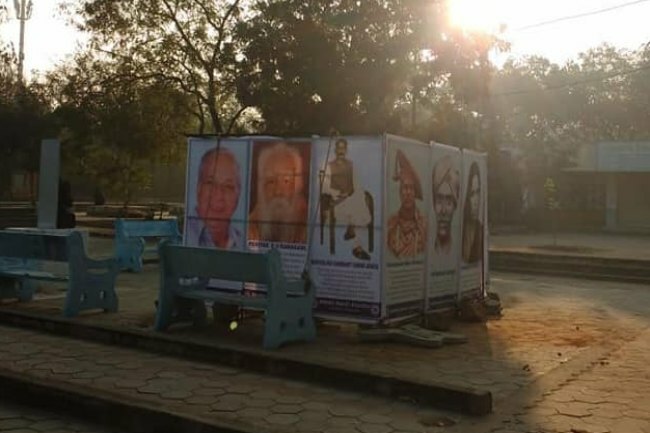 However, as these portraits had faded and withered owing to prolonged exposure to sunlight, the students of the Ambedkar Students’ Association had replaced them on Friday. On Sunday morning, students were shocked to see that the Velivada had disappeared. They allege that the university had removed the structure early in the morning when no one was around. ASA said that the portraits were ‘desecrated’ and ‘demolished’ by the authorities surreptitiously as part of the Vice Chancellor Dr Appa Rao Podile’s larger agenda to silence Dalit voices. “Erasing portraits and symbols of Dalit resistance is an attempt by the Brahminical Vice Chancellor Appa Rao, who is an accused, to silence the Dalit voices. He is dancing to the tunes of the BJP,” he alleged. Rohith Vemula and four other Dalit students were evacuated from their hostel in 2016 and several other restrictions placed on them against interacting with students, which these students termed ‘social boycott’, for allegedly assaulting the then ABVP president Sushil Kumar. Shortly after the suspension, Rohith committed suicide in the campus triggering a massive outrage across the country against the BJP.